Stay in a villa overlooking olive groves.. Explore the medieval village of Capalbio and its historic fortresses..
Savour home-cooked meals and local wine.. The floating city of Venice is one place you’ll be happy to get lost in. Feast on mouth-watering seafood along Italy's coast, drink fine wine in Tuscany and indulge in the endless pasta dishes on offer in Rome. Walk along Cinque Terre's rocky coastal pathways, calling into the sleepy pastel villages of Manarola, Riomaggiore and Vernazza. Marvel the beauty of southern Italy's most famous coastline. Visit the amazing Positano, Amalfi, and Ravello. Enjoy the atmosphere of the Mediterranean. It is currently shoulder season in Italy. Prices are good, and Italy's tour attractions aren’t crowded. Travel to Ascoli Piceno, see one of Italy's most beautiful squares. Enjoy 2 cooking classes, learn more about the secrets of Italian food. Explore vineyards around Ascoli Piceno and try some of the best Italian wines. Explore the islands of Venice during a group tour. Enjoy a panoramic bus ride in the hills of Florence. 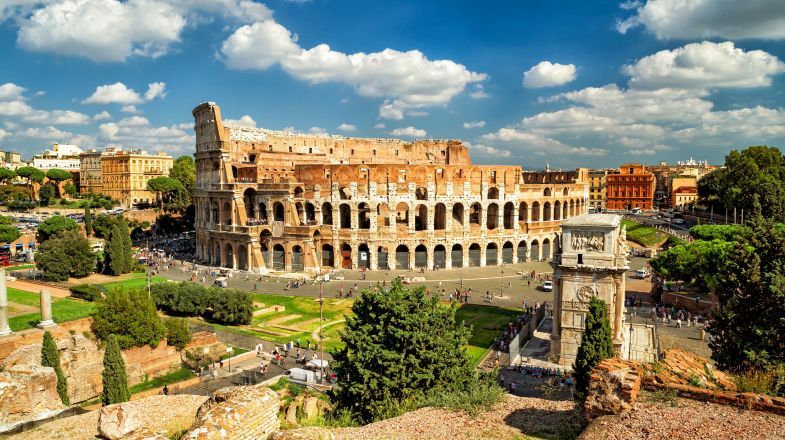 Visit the Vatican Museums, Sistine Chapel and Basilica of St Peter during a group tour. Follow in the ‘Footpath of the Gods’. Some of the Most Beautiful Seascapes in the World. Drive an original Vespa scooter. Guided tour of the winery. Discover Sicily on a small group tour of maximum 8 guests. Visit Taormina, the Godfather villages, Noto, Syracuse, Agrigento and Palermo. Enjoy local food and wine at wineries and on specific tours. Dazzling cliff-side houses and an impossible coastal location make Cinque Terre one of the world's most romantic destinations. Adventure through the area's most scenic trails on foot and by bike, including parts of the classic coastal route, all under expert local guidance. If you'd rather spend more time relaxing on the beach, there's flexibility in some places to take a train instead of hike. 4-star hotel with delicious food, warm family hospitality and wellness centre. Tre Cime di Lavaredo, UNESCO World Heritage site. Some weeks Challenging (level 5) . Lose yourself in the rural allure of Val D’orcia. Explore the spellbinding medieval villages of Arezzo and Ang. Experience life as a local in a beautiful private apartment in a genuine Tuscan farmhouse. Italian Lakes: For your Dine-Around Evening, you are offered a selection of hand-picked local restaurants to choose from, each with its own distinctive ambience and cuisine..
Lake Iseo: Visit a local winery passed down through the generations and taste their latest vintages with a master vintner..
Venice: Cruise to the charming fisherman's island of Burano to enjoy a delicious Celebration Dinner with wine and new-found friends.. Taste the local wine known as "Limoncino ligure". Travel through the Cinque Terre area on ferry, boat and train. Underground Chambers of the Colosseum. First, Second and Third Tier of the Colosseum. Visit 3 different local, authentic food and wine venues. Get insider knowledge from a local guide. Sample typical organic food and 5 wines from Sicily. Travelling to Italy? Chat with a local travel specialist in Italy who can help organize your trip. Once home to the fabled Roman Empire and the Great Vatican, Italy has really seen the highest of highs in world history. Italy and France feel quite similar except the fact that Italy manages to come across as that cooler cousin who is more fashionable, more beautiful and yet, more approachable. Home to more UNESCO World Heritage Sites than any other country on the planet, Italy is everything you want your holiday to be. A trip to Italy means that you have some of the greatest arts and artifacts to give you company. Creations such as da Vinci’s Last Supper, Michelangelo’s David, Giotto’s frescoes, Botticelli’s Birth of Venus, Byzantine treasures and Sistine Chapel frescoes can be found here. Moreover, the country’s museums are also overflowing with some of the most important pieces of history from all over the world. Do not eat at a restaurant unless they have a full Italian menu. Restaurants catering only to tourists will not have the best authentic Italian food. Italians can be very laid back and relaxed, but do not offend them with special food requests. Italians take great pride in their food. Wake up early to avoid crowds and get the best views of top tourist spots, especially during high season. Indulge in some afternoon snacks (like gelato!) to tie you over, as Italian restaurants rarely open for dinner until 7pm. Italian cities have a bad reputation for pickpocketing. Keep your debit card, credit card and cash in separate pockets and always watch your luggage. If you plan on visiting churches and other holy sites, be sure to bring something to cover your shoulders and knees. You will not be allowed to enter in short shorts or tank tops/vests. Italy has seasonal weather so please do check up on the best time to visit Italy before planning your tour. And if you’re still hunting for more things to do and places to explore in Italy, do check out our Italy Travel Guide for more information.